Revival of True India: Ganpati Bappa Morya! Ganapati (Sanskrit: गणपति; gaṇapati), a synonym for Ganesha, is a compound composed of gaṇa, meaning "group", and pati, meaning "ruler" or "lord". The word Morya refers to a famous devotee of Lord Ganesh in the fourteenth century called Morya Gosavi, from Chinchvad, near Pune who invoked the Lord with severe penance. It is said that he attained siddhi (special powers and blessings) at Shree Chintamani and his son built the temple to commemorate the event. It is said that Moryaji also performed penances at Siddhi Vinayak in Ahmedabad and in Moreshwar/Mayureshwar at Moregoan where he also built the temple. This depicts the inseparable relationship between God and his devotee. 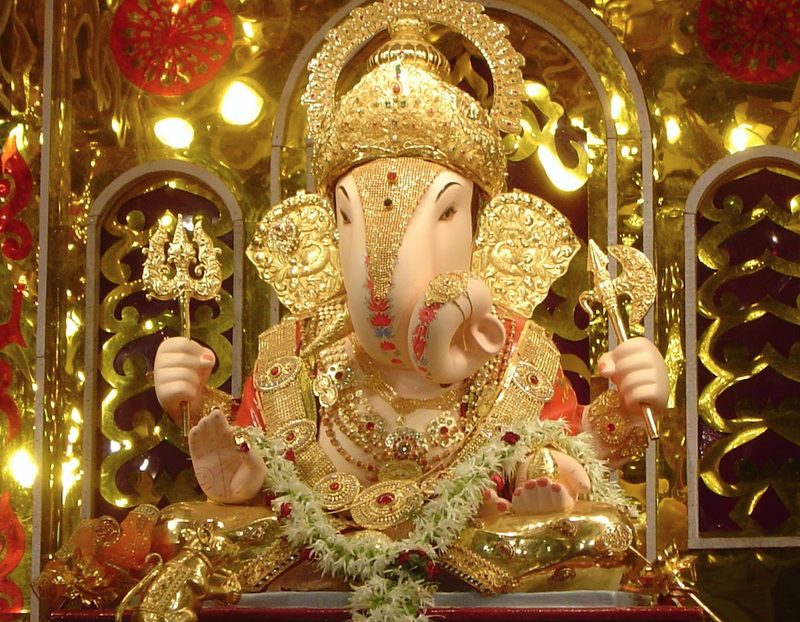 The starting of the Ashtavinayak pilgrimage is attributed to him. The words Ganapati Bappa Morya are attributed to him.